There was a time when parasites like fleas, ticks, and roundworms were considered mostly a nuisance. Now, however, we know that parasites can cause serious illness and even death in pets. 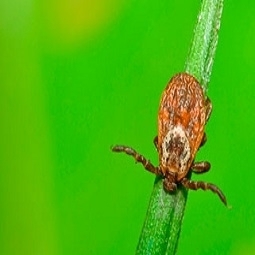 For example, ticks can transmit infections like Lyme disease, and fleas can transmit tapeworms and Bartonella – the bacteria that causes "cat-scratch fever" in humans. Another type of parasite, called a heartworm, is transmitted by mosquitoes. Heartworms live in your pet's lungs and heart, causing damage to these organs, and sometimes even death. Intestinal parasites, like roundworms and hookworms, also threaten pets and are even transmissible to humans. You may not always be able to tell if your pet has parasites. Fleas can hide under your pet's fur, and some ticks are very tiny (only the size of a pinhead), so they are very difficult to find. Intestinal parasites like roundworms can cause diarrhea and other problems, but many infected pets don't show any signs of illness at all. Fortunately, we can recommend tests to tell if your pet has parasites. We can also examine your pet for evidence of fleas, ticks, or other parasites. Our expert staff can recommend medications to help control fleas, ticks, heartworms, and intestinal parasites. Preventing parasites in your pets also helps protect children and other family members, so let's work together to protect your pets and family. Veterinary examinations and parasite testing are important ways to protect your pet's health. Let our knowledgeable staff provide you with a comprehensive parasite control program. We can recommend a schedule for parasite testing, discuss what signs of parasites you can look for at home, review ways to control parasites in and around your home, discuss treatment options if your pet has parasites, and recommend ways to control and prevent parasites in the future. Parasites are not just a nuisance. They can carry serious diseases that affect your pet's overall health and longevity. Let us help you protect your pet. Call today to find out how!